Best and simplest way – support project by donating through Patreon! IMPORTANT: To protect Knights Province (KP) project development and its authors, before we can accept any contributions, you will need to sign the Contributor License Agreements (it will be based on Apache Software Foundation ICLA). The purpose of this agreement is to clearly define the terms under which intellectual property will be contributed to the KP and thereby allow us to defend the project should there be a legal dispute regarding the software at some future time. There are many ways you can contribute to this project. The list is not final, if you have any ideas and/or suggestions to it – please feel free to contact us on forum or via e-mail (contact@knightsprovince.com). Game design: Project needs professionals help with new gameplay ideas, game design decisions, playtesting and balancing. PR and advertising: Help us promote the project through game sites and communities, social networks, forums. Spread the word, tell your friends, post it around the internet! We want to attract as many players as possible. Do the shoutcasts and streams. Beta testing: We need players to test new releases before we make them publicly available and report crashes or mistakes they find. 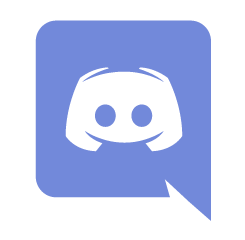 If you want to help us beta test please join the Discord server #new_versions channel. Find and report bugs: If you see any errors or mistakes while playing please report it to us. If the game asks you to send us a crash report, please do so. This helps us find and fix bugs early. Give us feedback: We’d love to know what you think about the project and any suggestions you might have. In-game content: Campaign, Tutorials, Single and Multiplayer maps and missions. Translations: Further on in development KP will need text translations into different languages. That includes: Text translations (at the moment engine supports Left-To-Right languages available in Unicode), Voice translations. I am a work in progress, I am going to start my learning in the language as of right now, were it with help of the Academy or not. For now I am able to create a portion of documentation on the code structure, functions etcetra. Were it as comments in the code or in a basic word documents with chapters and all that. Through that I could even learn it, by reading through all the code and checking it, it could also open a small window for pro-active bug-tracing. Documenting is not a goal in itself. Main purpose of it would be getting familiar with the code and concepts it uses. A place to start. We still have not decided about the source-code location and access model / license. For now it’s a private repository at CloudForge. We can discuss details in email/Skype. I have 4 years of academic experience in cs. I am a strong c++ programmer, specializing in advanced rendering techniques and algorithms. I can also do tools and engine architecture. Please, contact me with the email provided in the message. I speak English and Russian. I’m a great fan of KAM, even more of KAMremake (which is clearly better than the original). I will definitely donate, but since I also enjoy learning the basics of programming, maybe you have something that would fit me. I’ve been learning scripting with LUA atm. I’m not the main programmer, my mate is, but this is the gamemode mod we made. I will ask him too, he might be interested too. Firstly you should take a look at KaM Remake source code on github, that will give you a good impression of what kind of programming we use. Or maybe you will like doing scripted missions? I’ll check it out. Perhaps scripting missions might be a good one. Otherwise some PR and advertising, or making a trailer, would sound good to me. I can at least beta test this nice-looking game! So sign me in your beta tester list. Is it possible to test can be made? The story can be about anything to know? I can help with testing, Polish translations, voices translations. I could also team up with Robert here when it comes to sounds, I already tried to add some ambient sounds into Remake, so my little experience might be useful ;). Also, I could try to make some maps/missions/help with campaign later on. Good day. I’m a big fan of strategy games, War and Peace is one of my favorite games of this genre. I am not a specialist in what ever direction you want, but would like to help in the development of your project. I for a very long time haven’t played in a normal strategy game, for all those games which are created at the moment, it’s full of “feces”. Your project just as a balm for the soul, I hope you will succeed and even if you do not need my help, I will eagerly wait for the result. If you need assistance in locating game in Russian, or just to be a beta tester, the bones will fall but I’ll do my best. I don’t have exact plans on when the localization and testing will be needed. I will include you into the beta-testers list for the future. Thanks! I am really happy to hearing that you are developing a game which could be the heritage of KaM. The Kam is really close to my hearth and I would like to help you in developing. I created some tiny games before but only for me and my friends, so I have experience in game development too. It would be wonderful if my first original work would be my first game which I got in my childhood. Please no hesitate to contact me if you need my help. I look foward to hearing from you. I’m a big fan of KaM Remake. Currently I’m in my first year of Computer science. I’ve only had java, C++, C, SQL and of those the basics. In 2-3 months my year will end and I’ll have time to learn any other language that is needed. I’m dutch so I can also translate if needed. So If you need me, I’ll be glad to help. Long time KaM fan here, and i’m excited to see this game. I saw you were looking for 3d modellers, and I’m experienced in Zbrush / Blender3d. I specialize in characters, however, I’m no professional. I do think that I can match the style you’re looking for. If you decide you need me, email me and i’ll send you some screenshots. I speak English and Dutch. For it’s art style KP needs low-poly models (units ~1k, houses ~3k polys) with hand-drawn textures. Would you be comfortable with those? I am PHP back-end programmer now, but I am familiar with C++, C# and slightly Java, Ruby and VBA(Visual Basic for Apps). Mostly Web apps and paralell programing on high performance clouds. I would like to help with programming – I am not familiar with Pascal or Delphi, but I think I can help somehow. SVN or GIT is not problem. Also I already have tried to run your KaM Remake sources. If you are interest in my skills, please send e-mail. Also about ICLA, is it enough to print it, sign it and send back as scanned pdf? I’m not sure where we could use PHP at this moment, the project is still in pre-Alpha stage. Take a look at KaM Remake code, if you find it interesting to work with – give us a word! Hi, Krom how i can look at KaM Remake code. In which program I can do it and in what the file it is located? It is written in Object Pascal, and you can use Lazarus or Embarcadero Delphi to edit and compile. Reading through the code can be done on the website as well. To download/upload the code we use Git. I’m not sure if you need someone with my position in this project, but I am an experienced project manager that would be able to help. I can develop as well, but I’d rather keep that out of this matter because I deal with software development and not game development. My experience includes 4 years managing a team of people of at least 12 people in a Fortune 50 company, 1 year co-directing 5 teams of 22 people in another country, and 6 years of project management. Willing to help anyway I can should you need it. I’m not sure about PM role in KP either. What would you want to do? I’ve been a fan of Knights and Merchants for as long as I can remember. I was 7 when the game came out and I think it was around that time when I first started playing it as well. I’ve always wanted to get involved in a community project like this one, so I’m hoping you can use my help. I have 7+ years of experience with PHP programming, 4+ with Java and decent experience with other C-like languages. Unfortunatly my experience with Delphi and Pascal is limited to effectively nothing. 1. I’d like to help out with testing, my knowledge of programming should be more then enough to create detailed bug reports. Despite never having worked with Pascal before I’m sure I would be able to compile from source and provide useful test information from a programmer perspective. 2. I can contribute to the Dutch translations of the project as far as needed. 3. If you’re considering adding a backend to the game in the future (such as an account system with leaderboards or w/e) I can offer my services as web developer. In one of the comments above you said the project isn’t in that stage yet. If it ever gets to that point I’d be able to contribute. 4. If you have any other isolated programming that needs to be done for the AI or Scripting I could take a look and see what I can do. Anyways, I really like to get involved. I’ll take the advice you have others and take a look at the source of KaMRemake (again). And if there is anything you need help with shoot me an e-mail. Thanks for all the hard work on the project, I’m really hyped for this one. My online name is King and I am a longtime player of the Knights and Merchants series. A couple years ago I found out about your remake to one of my favorite game titles and I was delighted. I have been playing ever since with both my cousin and a variety of other players from all over the world which I have had the pleasure of bonding with. Throughout my so called career playing K&M, both the original and your remade versions, I have spent my time analyzing it in depth and creating my own ideas for what should be added or changed in the game. This would be one of the areas I may be of use to you. I found out about this Knights Province project just about half a week ago now and it already has my mind racing! With a little more knowledge of what will be in the game and how it will work, I’m sure I could give you some amazing ideas (and maybe even help you piece them together). Of course I would be able to help with the other areas of game design too as they are all relative to my little visions for this game. If you send me an email perhaps explaining what you might be looking for, I will see how I can help you. Another thing I’ve seen you will require in the future are beta testers. If I don’t end up being able to help you create the game itself or even if I do, I would be more than flattered to be permitted to test and find errors in a beta version of it instead or as well. Should I be added as a beta tester, I will work hard to pan out any bugs or errors made. This should be quite simple for me as I do have extensive knowledge of the flow of Knights and Merchants, and if this game is in any way related to that, I should find little difficulty in finding even the smallest errors in the game that are not as obvious as the ones I’m sure we will encounter. I may be useful in a few other categories as well, such as in-game content as I am able to make smooth running and well animated missions set up as either scripted campaign and tutorial missions, or free flowing multiplayer maps. Also, I’m not sure how fluently you and the rest of the team working on this project speak English. I however am a complete anglophone and can correct any errors in spelling, grammar, or punctuation you may create in the written part of this game. With all this being said I hope you can find a place for my skills and can use me as someone to help. I am free most days after my hours of schooling and can regularly put time aside to help with this project. So by all means, let me know what you think either on here or over an email and we will work off of that. Thank you for the offer so much! We will need translations when the game is more solid. Probably the Beta stage. No promises on how much time that will take though. your provided email doesnt seem to work, i had it already returned twice. Thanks for report, I will try to look into it in the evening. Being a fan of the K&M series since my early childhood I’d definitely be interested in helping out with this project any way I can. I’m currently a full time college student focusing on a computer programming degree, so my knowledge and time are fairly limited but I’d still like to be useful in any way I can. My current knowledge extends to C#, some Java, and I will be starting C++ at the end of August. After taking a look at pascal & delphi it appears almost like a more simplified version of C#. If needed I’m willing to do some extensive research and self-teaching of either language as I’ll more than likely be needing to learn it at one point or another anyway. If programming turns out to be unsuitable or you have no need for any languages I have knowledge of, I’m more than happy to provide alpha/beta testing and balance feedback. I’m happy for you guys that working on a remake of a classic title has inspired you to develop your own game. I’d love to be a part of this, no matter how small, and see this come to fruition. If you have any questions for me, feel free to send me an email at the address provided. I’m not sure if the address I have given is the same as the one I use for Skype, but when I’m able to look at my Skype address I’m more than happy to send an email response with that information for easier communication. Thanks for your reply. As I mentioned above, it looks like a more simplified version of C# or even Java, just with some syntax differences. I’d be more than willing to work with it but if at all possible I’d prefer starting on a beginning end of it so I can get used to syntax, style, and so I can get an idea of what you guys are going for. If there is trouble contacting me or you would like to work your schedule around mine, I work and am unavailable from 3pm to 8pm GMT at the present moment Monday through Friday. I look forward to hearing from you! I just found out about this project recently and i’m in huge love with it so far, I played the hell out of the original KAM and the remake. Not sure if you could make use of my skills, i’m studying graphics for just 3 years, so i could help with some icon arts, maybe a little bit of modelling and small things like that. Also if you need some translation, I could help with translating from English to Czech. I’ve played KaM for many years, also followed by the last couple of years of KaM remake. I would be happy to donate some money, even though I am a student I am willing to back you up with this project because this is like a renaissance for a nostalgic game. Have you considered crowdfunding this? Like kickstarter or something? I have thought about that and the game is not on that stage yet. The game itself is much too raw/alpha to crowdfund. So i want to keep it short, i am big fan of KaM, i had disc when i was younger. Now i will finish school (12th class) and going to continue programming/game dev. I hope that i will have the experience, knowledge to join this team and dev this game! Also, i’m new youtuber and i will do KaM gameplay & I will create a video about KP! Post a link when it’s done! Big fan of KaM. Have recently (re)started playing and found out about KaM remake and have to say it’s amazing, so great job! I’m a game developer, currently working in a start-up doing games for business (serious games/gamification) – check out http://www.applio.net. I would be interested in joining your team and help with some programming! I have experience in C#, mostly with Unity, but have used other languages before, including Java and Pascal and can pretty much adapt to anything. So, could you follow up with an email on how (or if) I could help and get involved (I wouldn’t have an extreme amount of time to help, but whatever I can contribute with here and here would be amazing)? And also, is the KaM Remake project basically finished? Couldn’t exactly figure out from the website if you’re fully focused on your new game or if that is still a thing people can work on? I want to help you with this great project. I know nothing obout programming, making graphics or sound, but still I can do something if it is needed. -I can translate this game to Polish. -I can give an idea or to (about game machanics or campaing storyline). -I can test the game. Hi Manny, thanks for offer! We are not looking for translations yet for reasons explained above. Hey ! i dont know if you will get help from the person who translated Kam into french but i will be glad to help this projet. I have some knowledge on game design too, if it’s needed (but i dont think) anyway, im going to try alpha, where can i send my reactions? Thank you for offering help! Translations are not needed yet, but when they are – I’ll post about it. Game design notes will be very helpful! Hello, Would love to see this project progress! I wish i could donate a couple of dollars. Maybe just set up a bitcoin wallet so people can at least donate some BTC! Very good portfolio and awesome youtube channel, I spent like an hour listening to everything! Set up your paypal already! Would love to contribute $$$ game is looking amazing!! Really nice work so far! i want to ask you if you need an extra man for modeling and maybe some texturing (not so good at texturing atm) . I am studying 3d design and game art right now but i would really like to help you with some modeling or designing. Thanks! I’ve sent you an email. Been a fan of the original K&M since early 2000s and your work since the K&M Remake project, I’m a game designer with 3 years of experience and a shipped title on Steam and we’re working for another one as of right now. If there are any spare work for me to do in my non-work hours that you guys are struggling with, I’d be happy to contribute in any way. Keep it up, wish you the best! 2 weeks passed where is the new update?!?!? paypal??? i look forward for donating! Keep it up! many many wishes!!! I have been following u for a while now but still missing the donating button! I could take care of the polish translation, just write me an email if my help will be possible. Thanks, will keep that in mind. For now, translations are not done because of extra time they need to rig up and maintain. I’m willing to help with Slovak translation. We might help each other towards faster and more effective result. As translations would not differ greatly if we provided each other’s work to compare. Especially, when both languages follow similar rules. great game looking forward to it!!!! Guys, set up the paypal. I`m want to help you with your project. I am work with delphi, direct3d ( 9, 10, 11), 3dMax, photoshop. I have seen your works on Google Plus, they are great! Please contact me on email or PM on Discord. I really love this game, and thank you for your hard work! I could help with the testing and translate to Vietnamese. Please let me know when I can do it. I’m planning to start translating game later, probably once it reaches Beta stage.